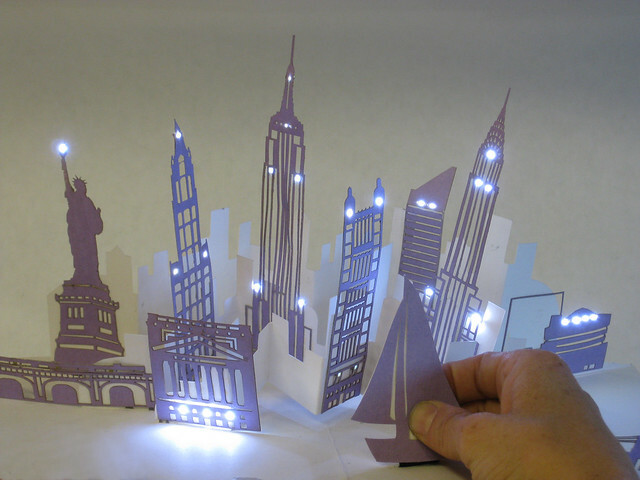 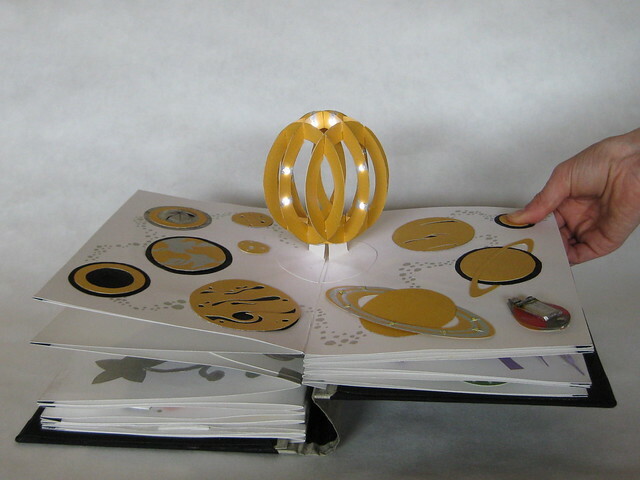 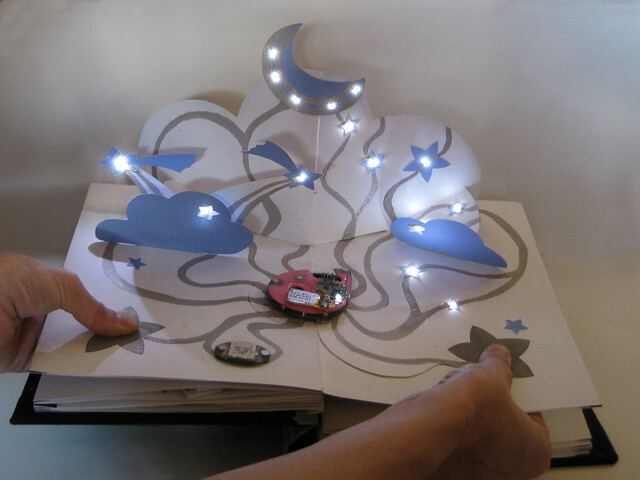 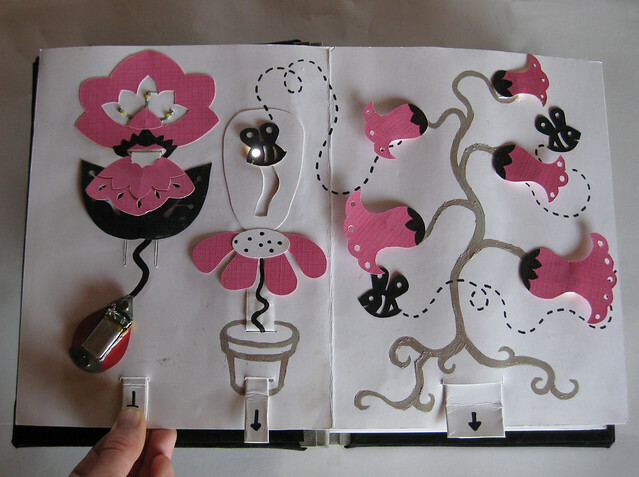 Electronic Popables is an interactive pop-up book that sparkles, sings, and moves. 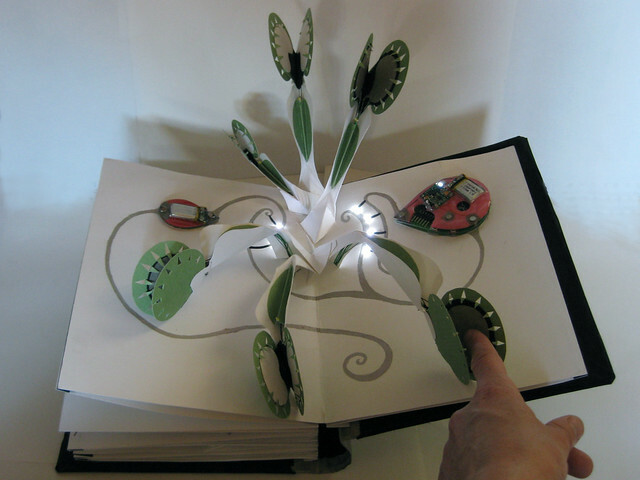 The book integrates traditional pop-up mechanisms with thin, flexible, paper-based electronics and the result is a book that looks and functions much like an ordinary pop-up with the added element of dynamic interactivity. 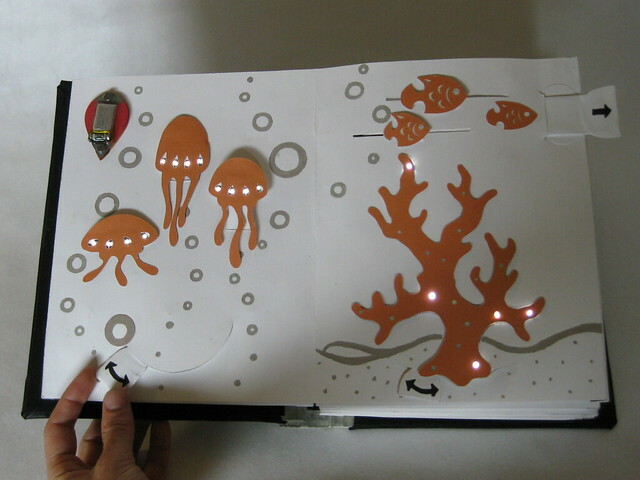 Magnetic circuit boards were designed and fabricated by Leah Buechley and Tungshen Chew.